The project Susi set me was to set a stone, so I promptly went out and bought a ruby. A man-made, facet cut ruby however, so it's not so expensive as you might think. I brought it to class and Susi just laughed and suggested maybe we start with something a little easier. The ruby was a little advanced for my first stone setting. So here is my first attempt and I have to admit I'm quite proud of it. I wish I took some photos of the process but it came together a little quicker than I expected. Creating the bezel setting was the hardest part, when you are working with such thin, soft, small pieces of silver your hands feel giant. And true to form, I must've dropped it under the bench about a million times. 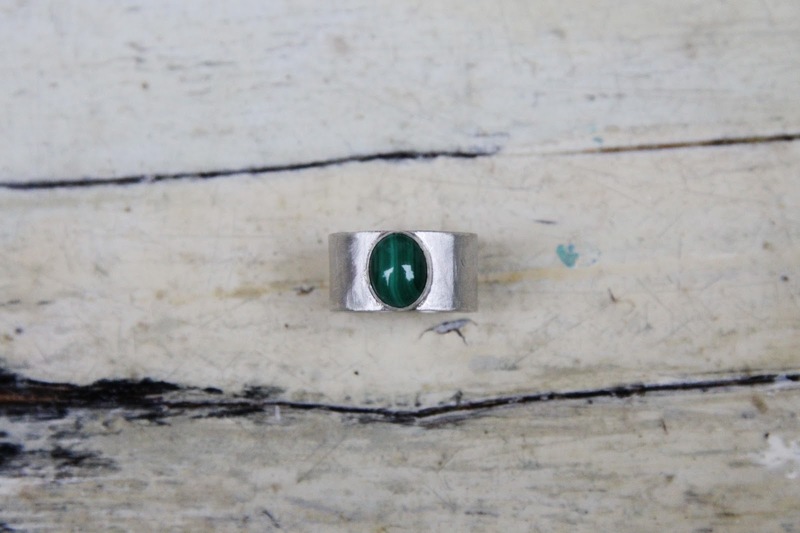 As for the stone, which is malachite, let's just say I'm glad it's set and I can't lose it again. 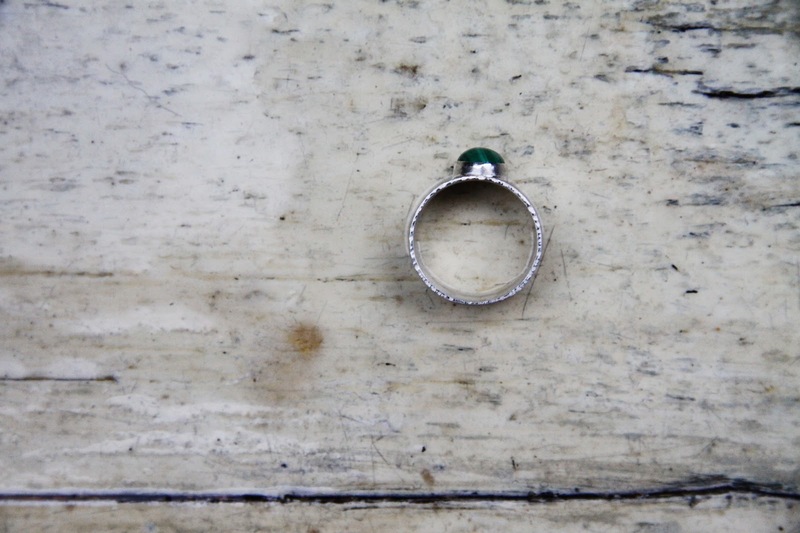 The ring is finished with glass wool to give it a softer, more textured finish. I also gently hammered the edges of the ring to give it a little more body, which I really like. It feels a little more handmade because of it and gives a more finished look. Next stone: the ruby, that is if I don't lose it.